St. Scholastica will host a conference on culturally responsive health care this fall. As the populations of Minnesota and Wisconsin become increasingly diverse, health care providers must be able to work effectively with people from a variety of cultural traditions and spiritual beliefs. 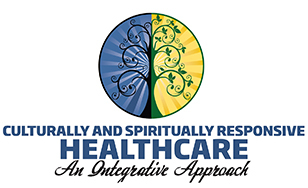 A conference called Culturally and Spiritually Responsive Healthcare: An Integrative Approach will include an evening keynote by transcultural health care experts at 7:30 p.m. Thursday, Oct. 27. On Friday, Oct. 28, experts in Indigenous health care will present an 8:30 a.m. keynote, followed by two sets of breakout sessions. Both keynotes are free and open to the public. A registration fee applies for the rest of the conference. For a complete schedule and presenter details, visit Go.css.edu/culturallyresponsive. Thursday night's keynote, "Transcultural Healthcare Among Diverse Cultures," will be presented by Hiba Wehbe-Alamah, associate professor of nursing at the University of Michigan-Flint, and Marilyn McFarland, professor of nursing at the University of Michigan-Flint. Friday morning's keynote session is "Reclaiming, Revitalizing, and Reinventing Indigenous Health." It will be presented by Michelle Johnson-Jennings, co-director of Research for Indigenous Community Health, and Derek Jennings. Johnson-Jennings and Jennings are both assistant professors in the Department of Pharmacy Practice at the University of Minnesota - Duluth. Breakout session topics will include addressing barriers facing underserved communities in the health care system; revitalizing traditional cultural practices of pregnancy and childbirth; honoring religious and cultural diversity in the grieving process; and creating healing responses to intergenerational trauma and addiction. Breakout session leaders will include Arne Vainio, a family medicine doctor with the Mino Aya Win Human Services Center; Ayan Hassan, a family nurse practitioner with Mayo Clinic Hospital who is also involved with Doctors without Borders; Skip Sandman, spiritual advisor at the Mashkawisen Treatment Center in Sawyer, MN; and Nik Hassan, Imam, Islamic Center of the Twin Ports. Event organizer Elyse Carter-Vosen, director of St. Scholastica's Oreck-Alpern Interreligious Forum and associate professor in Global, Cultural and Language Studies, said the conference is intended for community health care professionals, students, advocates, and anyone else with interests in preserving cultural knowledge and bringing a greater awareness to the health care system. "We hope to have people come away with inspiration and information to push their thinking a step further in interacting with patients and clients in a culturally responsive way," Carter-Vosen said. The event will also provide networking opportunities, creating new relationships and partnerships among health care providers and community members. Carter-Vosen said she also hopes that students studying to go into health care fields will attend, since they are the future of culturally responsive care. In Minnesota, nearly 20 percent of residents are people of color. Each generation is more diverse than the next, Carter-Vosen said, with a richly varied set of beliefs, practices, and values shaping the health care needs of clients, families, and communities. Health care providers must become increasingly self-aware and skillful in cross-cultural assessment and communication. Continuing Education Credits will be will be available for professionals in nursing, physical therapy, occupational therapy and social work. Community Professionals - $30, and $45 for those seeking CEUs in PT, OT, social work and nursing. Major sponsors for the program include: the Duluth Superior Area Community Foundation, Essentia Health, the Minnesota Network of Registered Nurses, and CHUM (Church United in Ministry). Community sponsors include Community Action Duluth, The Health and Wellness Table, and the Cross-Cultural Alliance of Duluth. Participants are asked to register by Friday, Oct. 21. After that date, space may be limited.